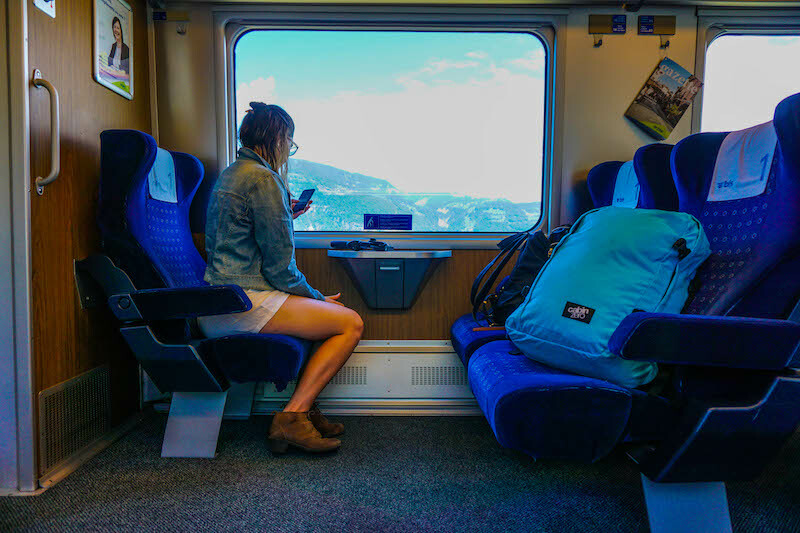 Switzerland is a land of ridiculous beauty, and the fantastic network of alarmingly on-time trains helps you zip around gorgeous landscapes without losing any time. This former New Yorker doesn’t understand how a country’s train system can run so much better than a single city’s… but I digress. This Switzerland itinerary has you sweeping across the country by train, visiting several of its most important cities as well as cute mountain villages, valleys full of waterfalls, and lakeside towns. 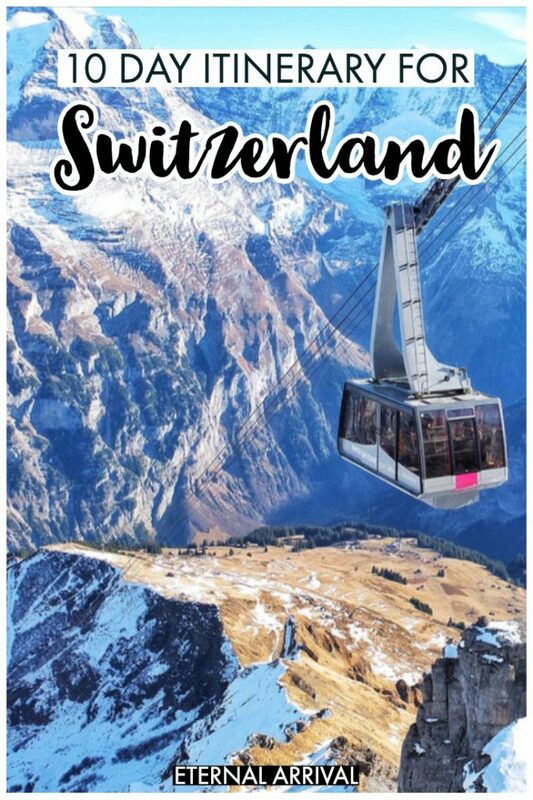 A lot of people have reached out to me to help them plan an itinerary with all the best places to visit in Switzerland – this is my best attempt at laying out an easily replicated itinerary with all the best Switzerland highlights. 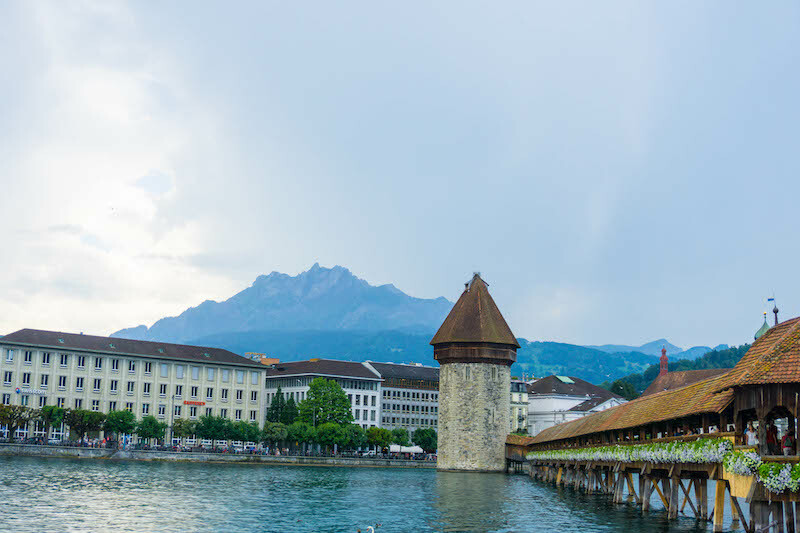 This Swiss itinerary accounts for you arriving in Geneva; you can depart from either Geneva or Zurich (or even Milan) and all ways should take about the same amount of time. Depending on the region of Switzerland you’re in, either French, (Swiss-)German, or Italian will dominate linguistically. 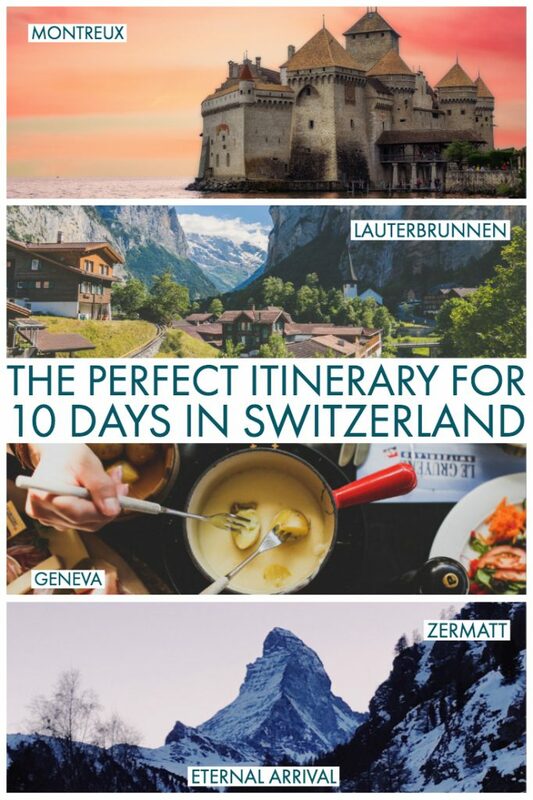 This 10 days in Switzerland itinerary is focused on French and German Switzerland, though if you wanted to dip into Italian Switzerland I would recommend skipping Zurich at the end, instead continuing onward from Zermatt to either Locarno or Lugano, and flying out of Milan or Venice. This Swiss itinerary takes a slightly leisurely place, generally giving two nights in each destination, except for two back-to-back one night stays in the beginning of the trip. I think it’s far more enjoyable this way. Instead of moving every night, I suggest taking day trips instead, which are easy to do with Switzerland’s excellent train system. It’ll make your 10 days in Switzerland more enjoyable and less chaotic. If you only have 7 days in Switzerland, I recommend omitting a day in Geneva and the 2 days in Lauterbrunnen. While it’s a beautiful city, it’s a bit out of the way and time is of the essence with only one week in Switzerland. Switzerland Itinerary: 10 Days of Chocolate, Cheese, & Trains! Geneva is one of the most common arrival airports in Switzerland, so you’ll likely find some good fares flying into Geneva. Despite its large size and airport, Geneva has a calm and beautiful feel – likely because it’s right on Lac Leman, one of the most pristine lakes in Switzerland. Geneva is best known for its gorgeous lakes, its fancy watches that cost more than a year of my salary (which, granted, as a ‘professional’ travel blogger is admittedly not that high), and its fantastic chocolates. 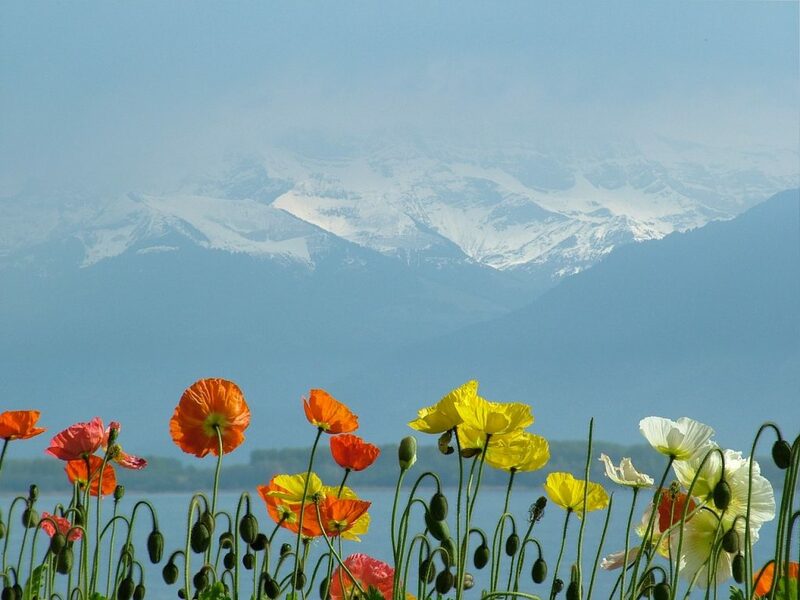 Geneva is also the heart of French Switzerland and therefore you’ll hear French spoken here, making it different than many other places on this itinerary (except Montreux, which is also French-speaking). If you plan to hit a lot of museums, I recommend getting a Geneva Pass. I normally don’t recommend city passes as they’re usually overpriced, but this one is pretty inexpensive compared to visiting museums individually, and it also includes public transportation (which can be quite pricy in Switzerland). The Musée Ariana is great for art lovers, whereas history geeks will love the Red Cross and Red Crescent Museum. I would recommend starting your Switzerland itinerary with a steamboat and walking tour. 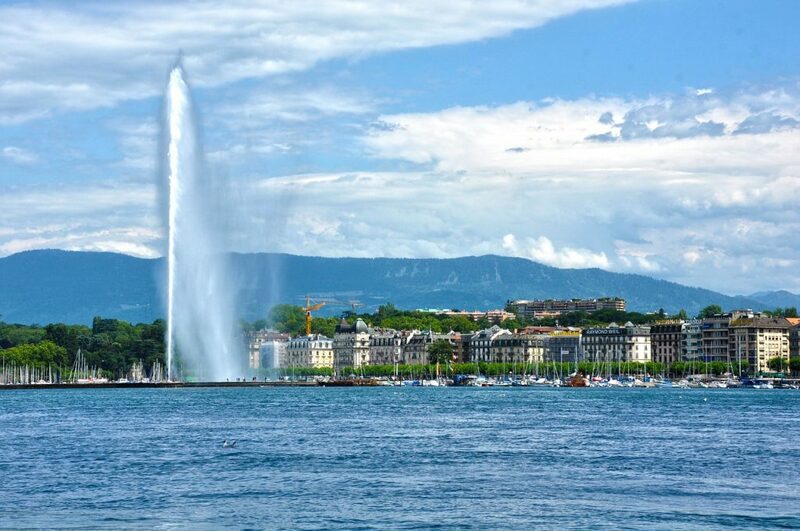 This tour includes many of Geneva’s most famous attractions – the Jet d’Eau (one of the tallest fountains in the world), the Flower Clock, St. Pierre’s Cathedral – and takes up just two hours on foot, followed by a one-hour cruise of Lake Geneva (Lac Leman). Note that if you have a Swiss Travel Pass the cruise on Lake Geneva should be free, so you may just want the walking tour alone. The steamboat ride on Lac Leman is one of the highlights of a trip to Switzerland so really, you shouldn’t miss it! Other things to do in Geneva include sampling some of the chocolate the city is known for (here are 5 of the best chocolate shops in the city), window-shopping along the ultra-fancy Rue du Rhône, and strolling along the Jonction, where the Rhône and Arve Rivers collide. Throughout this Switzerland itinerary, I’ve included hotel recommendations for each of the cities in this post, one for each budget category when possible. However, keep in mind that visiting Switzerland on a budget is essentially a contradiction in terms. Therefore, I’ve tried to find the cheapest option in each Swiss city, but you’ll be hard-pressed to find anything under $100 per night (and when you do… book it ASAP because seriously, a crappy bunk for one costs $40 per night in a hostel). Budget: The best-reviewed hostel that several of my friends have stayed in is Geneva Hostel, which is no frills but quite affordable for pricy Switzerland. It has spacious lockers, friendly staff, breakfast included, and best of all, it comes with a free travel card which is really useful if you’re not using a Travel Pass in Geneva. Check hostel availability and prices here. Mid-range: I’m a big fan of ibis hotels and stay at them as much as I can: they’re always clean, reliable, private, and inexpensive for the region. They don’t have the most personality, sure, but sometimes you just want a clean, private room to rest your head in. There are several branches of ibis in Geneva, but ibis budget Petit-Lancy is the most affordable. Like Geneva Hostel, it also includes a free travel card, which means that even though you’re located a bit outside the center you can get into the heart of the city easily without spending a dime. Check lowest prices and availability here. Luxury: The Mövenpick is one of my most trusted luxury hotel brands, and the one in Geneva is well-reviewed and not absurdly expensive (for a luxury option in Switzerland, that is) Check best prices and availability here. Additionally, Hotel de la Cigogne is an excellent 5* option, but it’s priced to match. Still, it may be worth it for the central location, luxury amenities, and artist-inspired décor. Check availability and prices online. 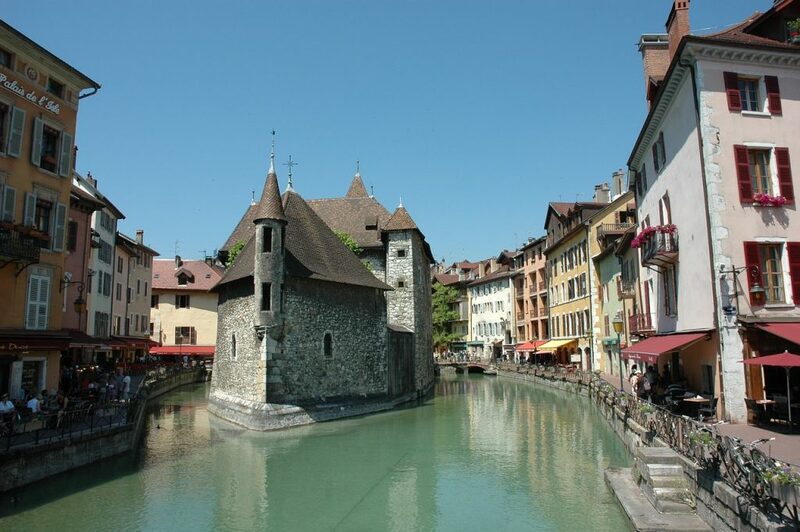 Annecy – one of the best day trips from Geneva! If you want the whole Swiss bucket list in one go — trains, mountains, chocolate, and cheese — you can’t miss a full-day tour to Gruyères – yes, that Gruyères! 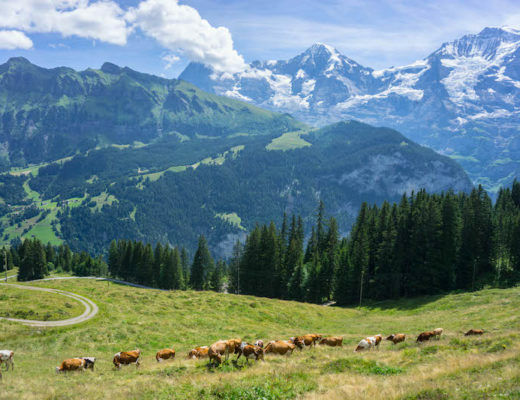 You’ll learn about chocolate making, meet Swiss cows, see how cheese is made in Switzerland, indulge in fondue, and get to ride the Golden Express, one of Switzerland’s most famous trains. This tour is popular so book in advance here. For a cheaper option that doesn’t include the train, you can book just a tour of the chocolate and cheese factories here. If you’re more interested in mountains than cute old towns, be sure to check out the French side of the Alps! Chamonix is a gorgeous ski town with charming architecture and insanely beautiful views. You can view the tallest mountain in Europe (well, excluding Russia), Mont Blanc, easily on a day trip here from Geneva – a must for any mountain lover. 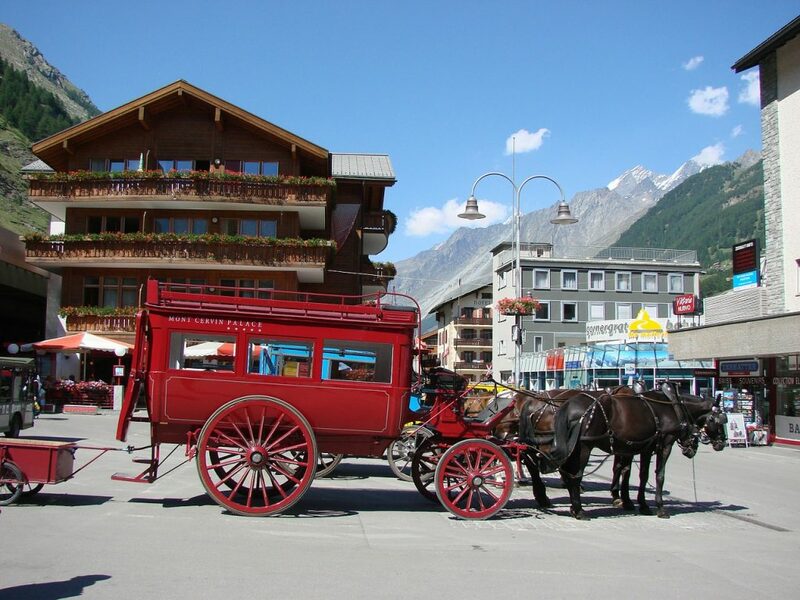 Check out a Chamonix & Mont Blanc day trip here. While you may be done with Geneva, you’re not done with its lake just yet. Head about 1 hour away to the beautiful lakeside town of Montreux, best known for being the host of the yearly two-week-long Jazz Festival and for being the muse of many famous artists, including Freddie Mercury. When your train arrives in Montreux, trust me – you’ll understand why. This city has one of the most incredible settings you can imagine, with Lac Léman (Lake Geneva) in the backdrop of everything. Despite only being one hour away from Geneva, the vibe in Montreux is decidedly different – calmer and more pristine. I really enjoyed sitting in town and enjoying a cappuccino, watching the slower pace of the city. 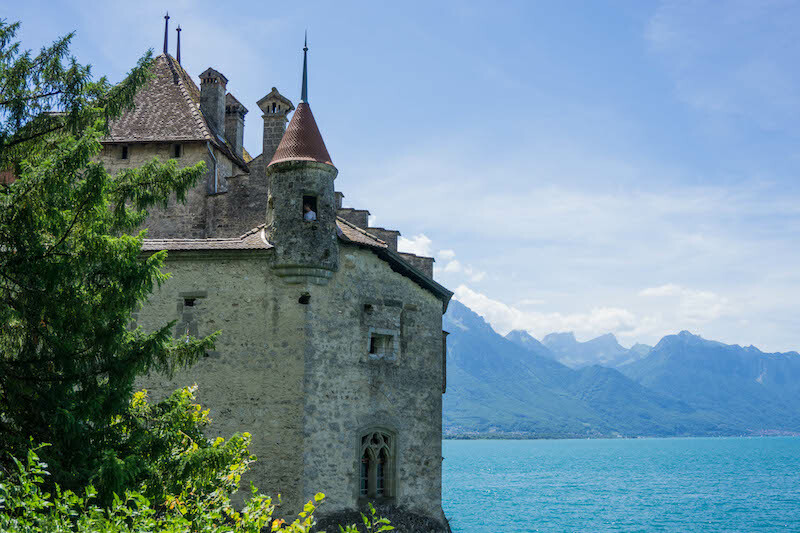 The main draw for Montreux is the stunning island castle, Chateau de Chillon. This gorgeous building dates back to the 11th century in some form or another and has been built upon and kept up well over the centuries. It’s one of the most lovely places in Switzerland, thanks to its stunning lake and mountain views framing the castle. Entrance is 12.50 CHF (about $13 USD). However, if you have a Swiss Travel Pass, entrance is included with your train pass. After visiting Chateau de Chillon, take some time to walk the lakeside promenade. Fans of classic films won’t want to miss Chaplin’s World, a museum dedicated to Charlie Chaplin, as he spent many years of his life here (alongside other celebrities like Freddie Mercury). If time and weather permit, you can also take the scenic train up to Rochers de Naye for an aerial lake view. Normally it’s 70 CHF, but if you have a Swiss Travel Pass you can make the journey for a much lower 26 CHF roundtrip. This is because the first leg of the trip is included on the pass, and you get a 50% discount on the second part of the trip. Otherwise, you can just enjoy this lakeside town and have a peaceful night in Montreux. Budget: There’s only one hostel in town that I’m aware of, and that’s where I stayed (I was on a tight budget during my entire time in Switzerland). I stayed at the Montreux Youthhostel. It includes breakfast– an excellent value in pricy Switzerland! Keep in mind their late 4 PM check in, which is common throughout Switzerland. Check rates and current availability here. Mid-Range: If you’re on a bit of a budget but still want to stay somewhere that is a proper hotel, Le Coucou Hotel has excellent prices, a breathtaking view, and a well-reviewed restaurant. It is a bit far away from Montreux town proper, near a different train station (Haut-de-Caux). Check lowest rates and availability here. Luxury: A favorite of celebrities like the late Freddie Mercury, it’s not surprising that Montreux offers no shortage of luxury options. The best balance of luxury to price ration is Fairmont Le Montreux Palace. 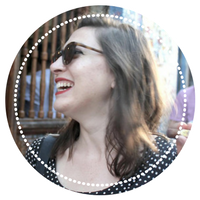 I mean, just look at that building façade — it’s basically the architectural equivalent of the heart-eyes emoji. Check lowest rates and availability here. If I had to pick a favorite place on this Switzerland itinerary, it would have to be Lauterbrunnen. This town is quintessentially Swiss, with beautiful wooden buildings with traditional flower boxes and Swiss flags fluttering in the cool mountain breeze. 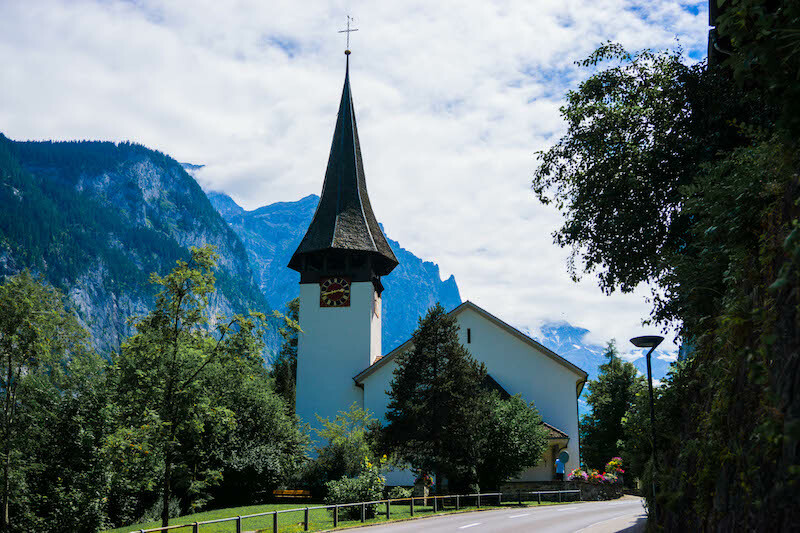 While the journey from Montreux to Lauterbrunnen takes about 3 hours and involves 3 connections, it is entirely worth it! Plus, the train ride is incredibly beautiful and the connections are well-timed so you’re never actually waiting long, as the train lines all sync up so that you never wait more than 10 minutes or so for a train (and if the trains run late for whatever reason, the trains are so well-run that they stagger all the connections!). Still, get an early start to your day so you can make the most of your time in Lauterbrunnen. 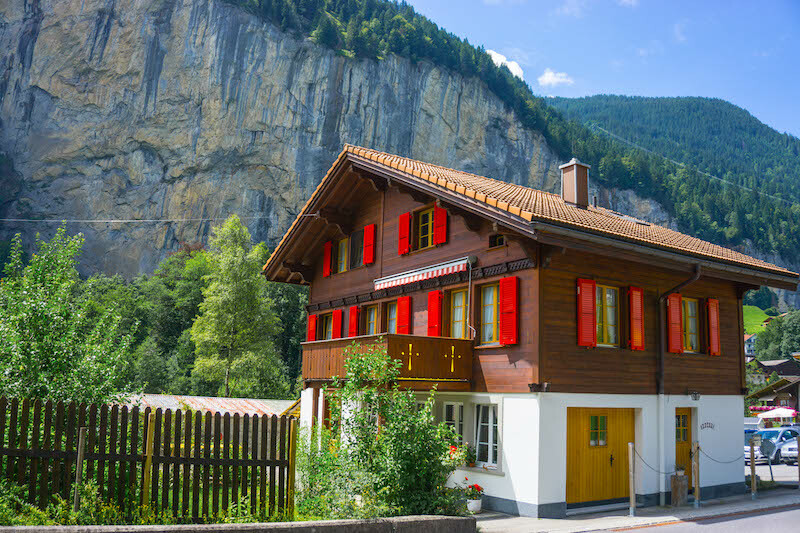 Arriving in Lauterbrunnen, you’ll want to spend the day enjoying the village and its two waterfalls in the heart of town. It’s an extremely typical Swiss town with traditional wooden architecture and flower boxes bursting with gorgeous blooms. Lauterbrunnen Valley itself is famous for being home to 72 waterfalls and you’ll be able to see a number of them from Lauterbrunnen itself. 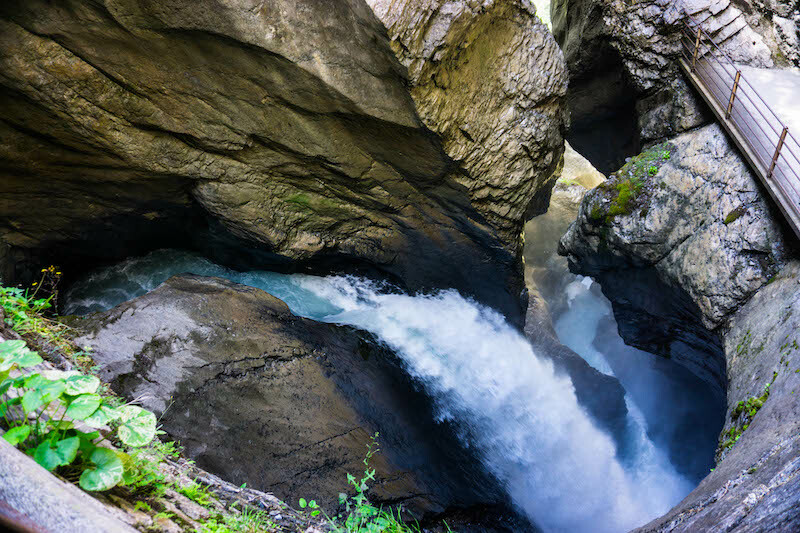 The most impressive are at Trummelbach Falls, which this Switzerland itinerary has you visiting tomorrow. Today, I recommend dropping your luggage off at your hotel, into your hotel and then picking one of two excursions: Schilthorn or Schynige Platte. Both are beautiful and whichever you coose, you won’t go wrong. Schilthorn is pricier but arguably more impressive if you are visiting Switzerland for its glaciers and mountains. Its gorgeous revolving restaurant (at nearly 3,000 meters high!) Piz Gloria was the filming location of the James Bond movie, On Her Majesty’s Secret Service. Check tickets here – note that they do not include dinner, so reserve that separately if you are looking to dine here as well. 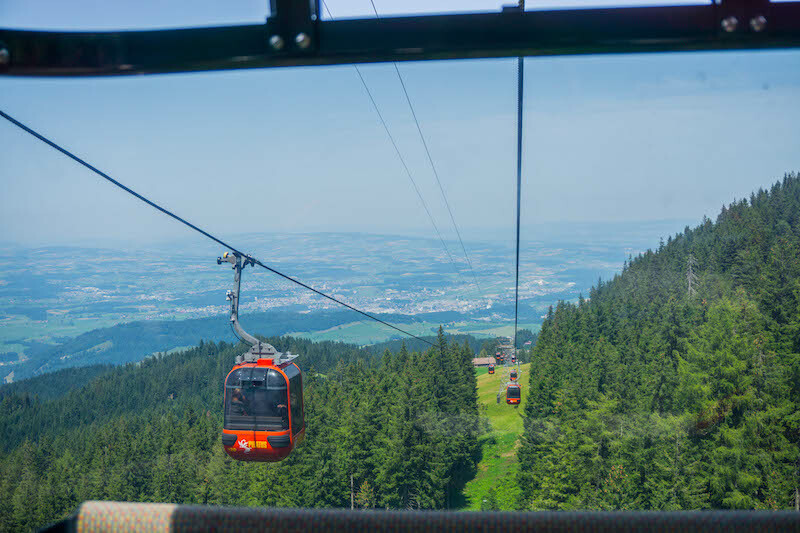 As I was traveling on a budget I chose to go on the tour included on my Swiss Travel Pass – the route to Schynige Platte via scenic cogwheel railway. Despite the low price tag, I’d be willing to reckon it offers one of the most beautiful views in Switzerland, with beautiful views overlooking Interlaken’s twin lakes. There are some short hikes you can do that offer maximum reward for a minimum of effort. However, if you want snow-capped peaks, definitely opt for Schilthorn or even Jungfraujoch (the highest railway station in all of Europe!) if finances allow. Budget: Lauterbrunnen is one of the best towns to visit in Switzerland if you’re on a budget. I stayed at Schutzenbach Backpackers and it was the cheapest hostel I stayed at during my entire time in Switzerland. It had an amazing location and everything was comfortable, but there were some weird quirks (like you had to pay for hot water by the minute and pay for using the electric burners!) that I found rather annoying. It’s a short walk out of town (20 minutes) but you can also take a bus if you want, which should be free with a Swiss Travel Pass. Check prices and availability here. 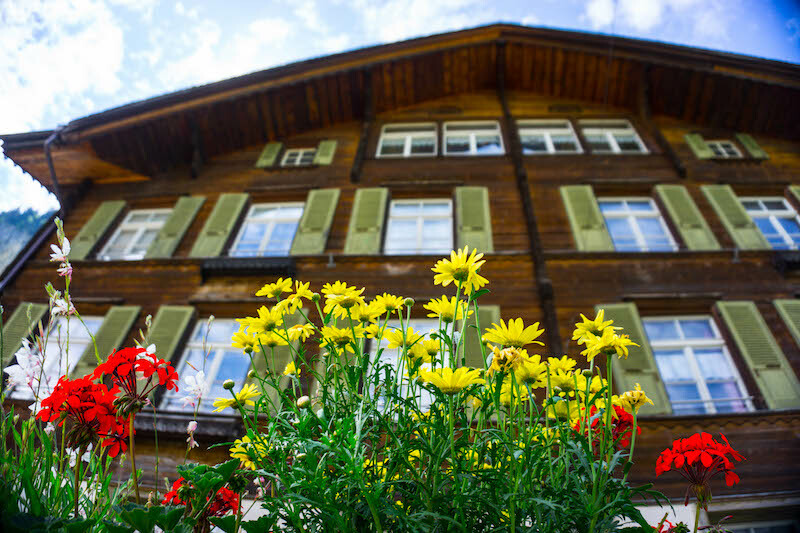 Mid-range: If you have a medium budget, Hotel Staubbach is your best bet. It has great waterfall views and a super convenient location. It’s cozy, but not ultra-luxurious. You could also stay in Mürren, Gimmelwald, or one of the other cute mountain towns in the area! Check lowest prices and availability here. 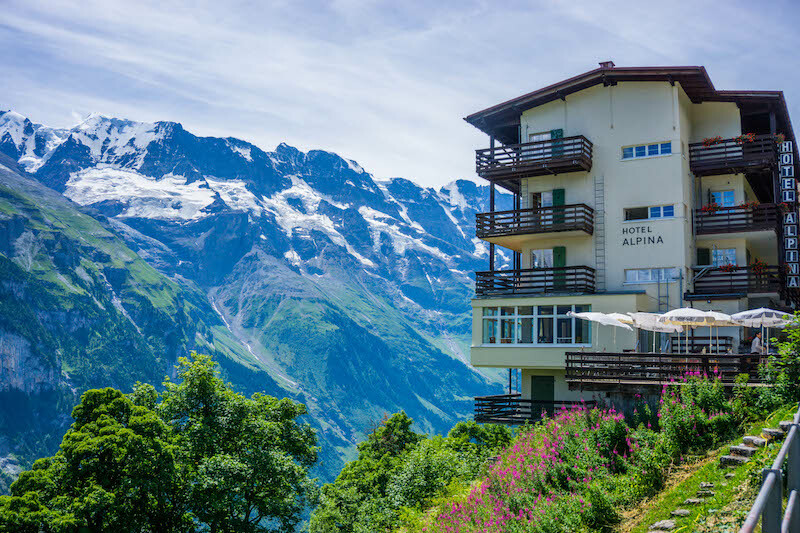 Luxury: For those with money to spare, Hotel Silberhorn is one of the nicest hotels in town. They have a beautiful sun terrace with an amazing panoramic view of the Jungfrau mountains and an Alpine-style restaurant. Check prices, reviews, and availability here. Start the day with an early morning cable car and train combination up to the car-free village of Mürren via Winteregg. (Note: this whole route is free with a Swiss Travel Pass; not sure how much it would cost if you bought all your tickets individually). Along the cable car and train route, you’ll have gorgeous views overlooking Lauterbrunnen Valley – made all the sweeter by the Swiss cows you’ll share the panoramic views with. You’ll also find the lovely Hotel Alpinahere, straight out of a Wes Anderson movie. 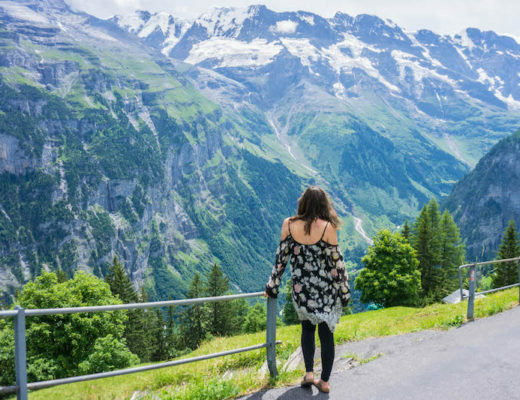 Afterward, you can hike down to Gimmelwald, enjoying beautiful views along the way. 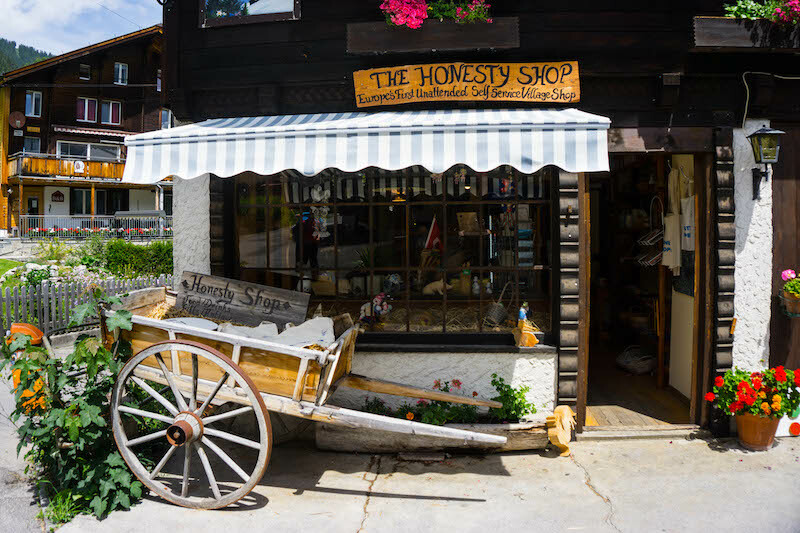 When in Gimmelwald be sure to check out the Honesty Shop — Europe’s first village store based entirely on trust. It’s completely unstaffed and unwatched, relying on the kindness and honesty of its patrons to pay for the goods they take. I was tired of walking at this point, so I took the cable car to the bottom and then hopped on a bus. From there, it wasn’t a long ride to the insanely powerful Trümmelbach Falls on the outskirts of Lauterbrunnen. Admission is CHF 8 if I recall correctly and is entirely worth it. You’ll get to go up inside the mountain via elevator (the Swiss are amazing with engineering!) and then check out all the powerful glacial waterfalls which churn their way through this mountain with such insane force that it creates tunnels. There is a series of ten or so waterfalls you can see: allocate about one or two hours to explore them all. From there, you can easily walk back into town, which takes about 30 minutes or so. Have a tasty fondue for dinner – you will have earned it! The train from Lauterbrunnen to Lucerne is another long one (3 hours and 3 connections), but well worth it. Trains in Switzerland are so beautiful that it’s basically seated sightseeing in and of itself! Lucerne is a lovely, walkable town with plenty to see. Its most famous landmark, the Lion Statue of Lucerne, is a letdown (feel free to skip it). Kapellbrücke, however, is definitely worth the hype. This covered bridge dates back to the 14th century and it is absolutely gorgeous. Once you’ve got your luggage at your next hotel, take a half-day trip to one of the nearby mountains. 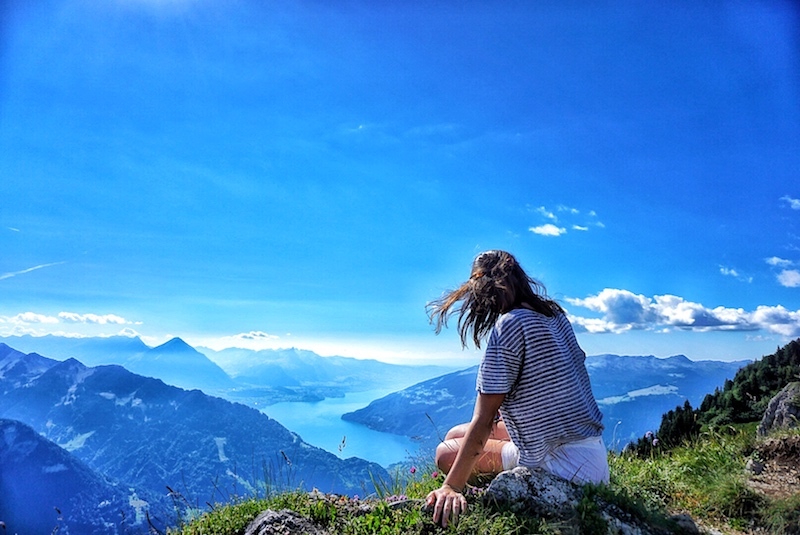 Both Mount Rigi and Mount Pilatus are extremely closeby and offer excellent views over Lake Lucerne as well as some light hiking opportunities. I chose Mount Pilatus, but I wish I had time for Rigi, too! These are both included if you have a Swiss Travel Pass; if you’re not using a pass and are buying tickets point-to-point, you can grab an a la carte ticket. 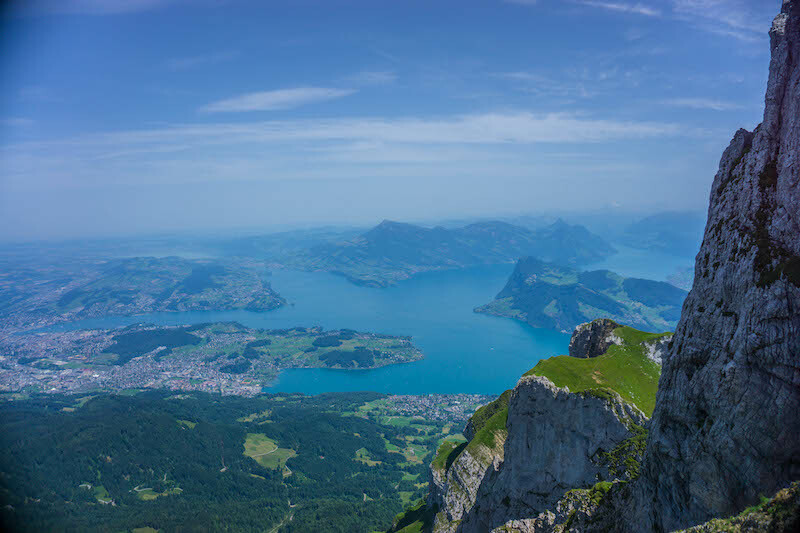 I ended up choosing Mount Pilatus because you can experience the awesome efficiency of Swiss transportation in 4 different forms on this tour: steamboat, railway, cable car, and bus. There are gorgeous views on almost all of them (though admittedly the suburban bus is less exciting). 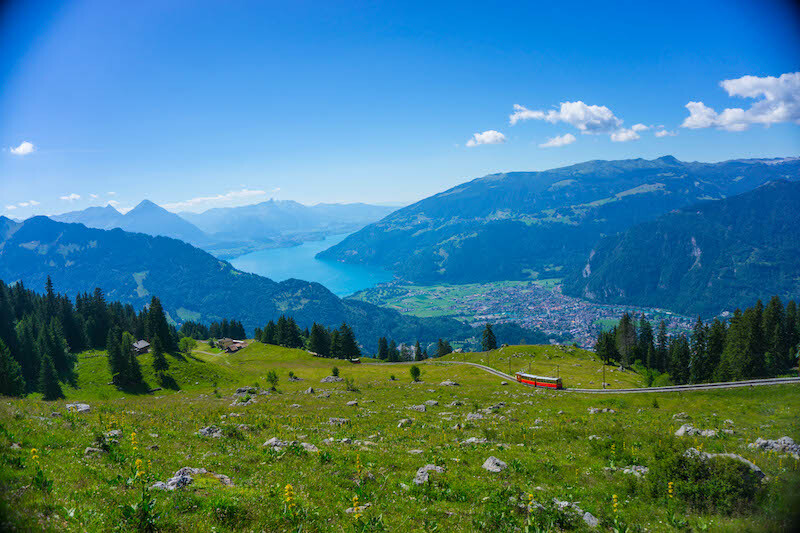 This tour takes you gliding across peaceful Lake Lucerne on a steamboat and then goes up the mountain via the world’s steepest cogwheel railroad. It’s truly impressive to see the incline for yourself. At the top, you’ll enjoy some spectacular views over the lake you just crossed by boat. You can also stop for lunch here or go for some short hikes. Afterward, you can descend using a cable car (and finish your trip back to Lucerne with a brief bus ride). In the evening, spend your day walking the main pedestrian boulevard in the heart of Lucerne, Kornmarkt, or walking alongside the lake promenade – a fantastic place to walk as the city lights up after dark. Budget: I stayed at Lion Lodge when in Lucerne. It’s okay and friendly to the wallet, but nothing that great. I’d stay somewhere else next time. Instead, I’d opt for the cool and sleek capsule hotel lucerne for something vaguely futuristic yet surprisingly budget-friendly. Check it out here. Mid-range: Had I not been traveling on such a strict budget, I likely would have opted for the ibis Lucerne. Ibis hotels are clean, affordable, and pretty inoffensive — but they’re not exactly luxurious. Still, if you want privacy and cleanliness, ibis is reliable. Just be aware it’s about a kilometer’s walk from town, though Lucerne is pretty well connected when it comes to public transport. Check prices and availability here. Luxury: If you want the best of the best, Hotel Schweizerhof can’t be beat. It’s beautiful — just look at the front of that building all lit up at night! — with an amazing lake view, a Finnish sauna, a bio sauna (whatever that is), and a spa. One cool quirk about the hotel is that each room is furnished to a represent the personal style of a famous person who has stayed at the hotel in the past, making it a super unique place to visit in Switzerland. Check the prices and availability here, keeping in mind you need to book in advance in the busy months. Lucerne also makes a great day trip base. Here are a few of the best day trips from Lucerne. Mount Titlis is the highlight of Central Switzerland and it’s a must-visit for snow lovers. At over 3,000 meters tall, it’s capped with snow every day of the year, even in summer, and it’s the only easily accessible glacier in this part of Switzerland. You get to ride up in a scenic revolving cable car, and from the top, you can visit a glacier cave and cross a scenic suspension bridge. Check out more details about the day trip here. 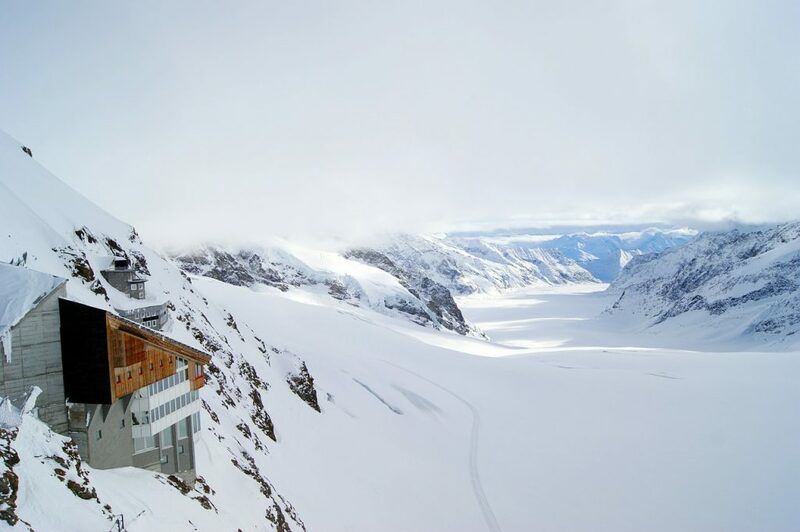 Jungfraujoch is also accessible as a day trip from here, so if you missed that while in Lauterbrunnen you can do it now! Check it out here. Finally, a few Swiss cities you can easily access included on your Swiss Travel Pass or by train: Bern, Basel, or Zug. If you prefer the context that comes with a tour, guided day trips are also available to Bern. By now, long yet efficient train rides should be the norm. Head down to Zermatt, a car-free village in the Alps famous for its picture-perfect view of the Matterhorn from the heart of town. 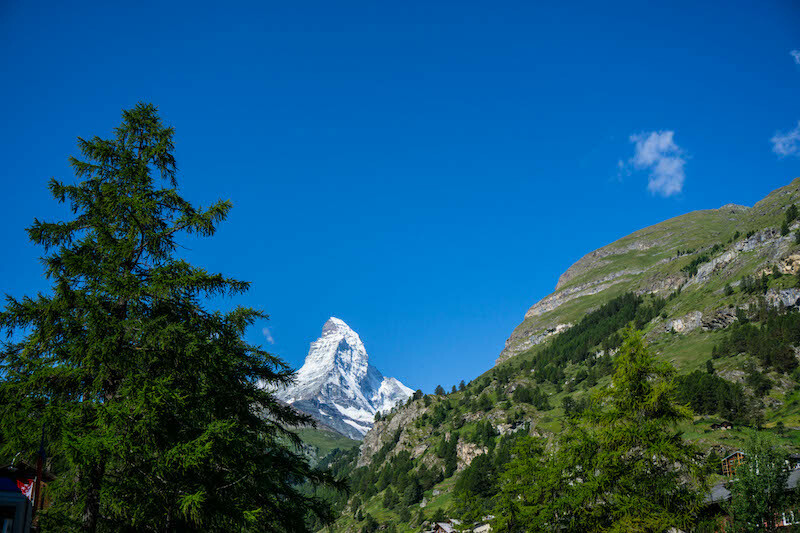 On a clear day, the peak is clearly visible from any unobstructed view – other days, the Matterhorn is surrounded by clouds, which makes sighting it even more majestic when it finally appears! Depending on what you feel like, you could wander around the heart of Zermatt village, exploring the Walser architecture or the excellent Matterhorn Museum which details the harrowing stories of mountaineers who attempted (and sometimes succeeded) in ascending the Matterhorn. For a sad reminder of the fate many of them met, check out the sobering Mountaineers’ Cemetery, where many daring alpinists have been laid to rest with an eternal view of the mountain that felled them. Other things include visiting Gorner Gorge, about 15 minutes walk away from the center of Zermatt, as well as the hike from Blauhard to Sunnegga, aka the Five Lakes Hike, which is 9 kilometers long and takes approximately 3 hours to complete, using gondolas to get you up into the mountains efficiently. Alternately, you could just have a spa day at one of the luxurious mountain hotels in the village and give yourself some R&R! Budget: As one of the more popular touristic places to visit in Switzerland, Zermatt has a wide range of options, but they go quickly. I enjoyed my stay at Matterhorn Hostel and thought the price was really good for Switzerland. Book in advance here. Mid-range: A surprisingly good value is ARCA Solebad Wellness & Spa. It’s right by the center train station and, as the name suggests, is home to an excellent spa! It also has a salted heated swimming pool, steam bath, and sauna. Check prices and availability here. Luxury: One of the most romantic and beautiful hotels in all of Zermatt is Romantik Hotel Julen Superior. The outside of the building couldn’t be any more adorably Swiss, with wood design and flower boxes everywhere. I also really loved the warm, wood interiors and amazing detailing. Plus, the location can’t be beat — after all, Matterhorn views are never far away. Check prices, ratings, and availability here. On your final day in Zermatt, head up the Gornergrat for some of the most impressive views possible – the perfect way to end your 10 day Switzerland itinerary! If you have a good weather day, it’s definitely worth it to go up to the Gornergrat station on the scenic railway. I took three scenic mountain railways while in Switzerland and the Gornergrat was definitely the most awe-inspiring. As in, I almost wanted to weep when I saw the Matterhorn finally peeking from behind the clouds on my last day in Zermatt. 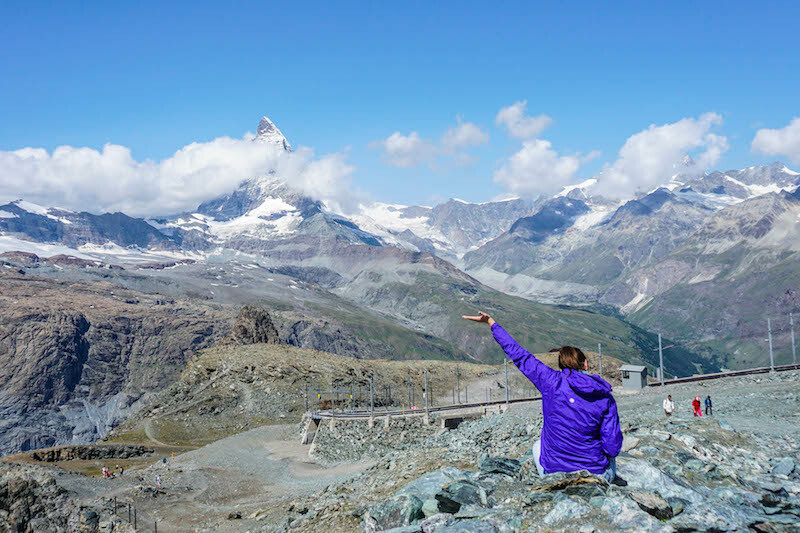 The Gornergrat is not fully included with the Swiss Travel Pass, but you’ll get a 50% reduction on the return ticket price of 94 CHF (for a total cost of 47 CHF – aka, pennies in the alternate universe that is Switzerland travel costs). Be sure to stop at Rotenboden for stunning views of one of the many alpine lakes dotting the region – with luck, you may get a glimpse of the Matterhorn reflected in the Riffelsee. It was rather cloudy when I went up to Gornergrat, so my views weren’t quite as good as they could be. Check the forecast (or just look at the Matterhorn to see if you can see it!) before purchasing your tickets if you are going to be disappointed if you have bad weather. While looking at the Matterhorn from afar is great, hiking it is reserved only for serious alpinists. 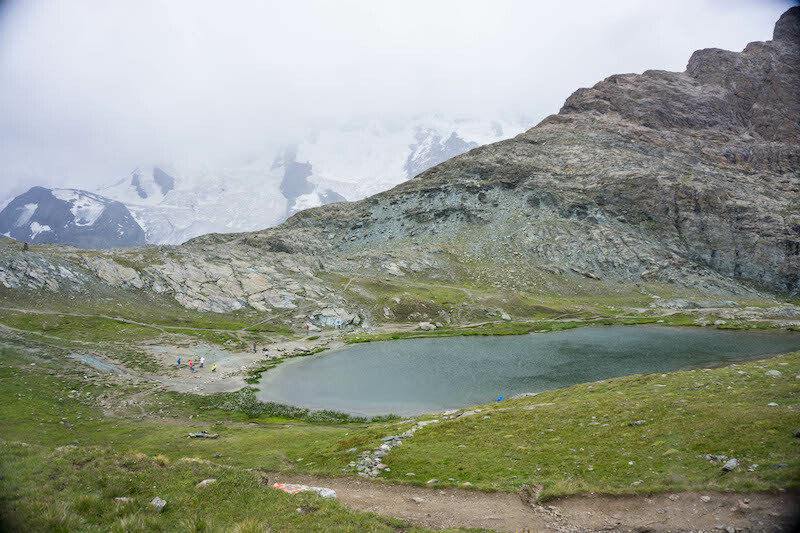 Hike in the Gornergrat area instead if you are a casual hiker and not a serious mountaineer. Whatever your departure airport is, now’s the time to start making your way there. If possible, I recommend entering via Geneva and departing via Zurich you can see a little of both major cities in Switzerland, but either way will take about 3 or so hours from Zermatt. You could also depart via Milan as well, which will also take about 3 hours, but if you have a Swiss Travel Pass it would not be fully included as it is an international train.